Article originally published on the Heath Ceramics blog. Bringing the inside out (and the outside in) is a big part of Heath’s design DNA. Coming of age as we did in California, the outdoors was an inherent part of who we were. 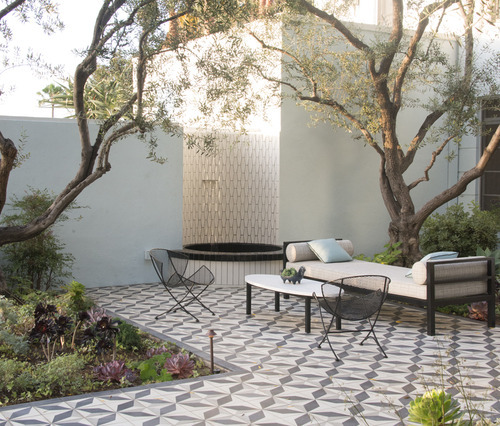 In fact, you could say that we and our tile were instrumental in helping bring down that barrier between the indoors and outdoors, and turning outdoor spaces into integral living—and even working— spaces. Over the years, we’ve worked with some of the best landscape designers to bring the creative possibilities of Heath tile to outdoor spaces. These designers are geniuses at telling stories, creating moods, and beguiling even the most indoor-worshipping hermit to venture—or at least look—outdoors. One of our favorite practitioners of this art is Judy Kameon of Elysian Landscapes. Her painterly, lifestyle oriented approach to landscape design is a direct result of her background, which includes stints as a painter and a boutique/gallery owner. 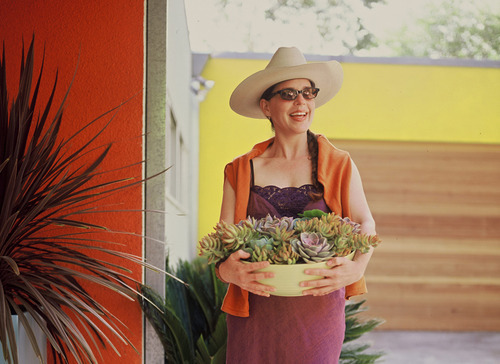 Originally self-taught, she’s been in the business for over 20 years and last year published a book entitled Gardens Are for Living: Design Inspiration for Outdoor Spaces. She also owns (with her husband photographer Erik Otsea) Plain Air, a collection of outdoor furniture inspired by mid-century modern design. For Judy, the intriguing—and challenging—thing about landscape design is that unlike architecture and interior design, gardens need time. “It takes time for plants to grow in and it is best to embrace and take pleasure in watching your garden develop, change and evolve.” That drives her to choose timeless materials—like Heath tile—that have the warmth, adaptability and sense of life to adapt to the landscape’s evolution. We love working with people like Judy who keep us on our toes, persist in pushing boundaries and keep doing such inspiring things with the tile we create.